The fragility of democratic institutions and the rise of tyranny is examined through the lens of Shakespeare's many portrayals of tyrants and corrupt government leaders. Greenblatt shows how Shakespeare's tyrants share characteristics that sound remarkably familiar today. Henry V manipulates his subjects, disdaining inconvenient facts and displaying false populism. Richard III is a despot whose physical deformities reflect his twisted personality. 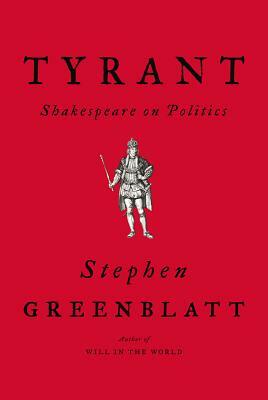 Greenblatt shows how other major characters, including Lear and Hamlet, demonstrate a tyrant's deeply flawed psychology. He provides historical context throughout, and, without being political, subtly compares Shakespeare's plays with current events. This small volume is a unique and sobering look at the insidious nature of tyranny, and the necessity for citizens to take a stand against it. Cherished institutions seem fragile, political classes are in disarray, economic misery fuels populist anger, people knowingly accept being lied to, partisan rancor dominates, spectacular indecency rules--these aspects of a society in crisis fascinated Shakespeare and shaped some of his most memorable plays. With uncanny insight, he shone a spotlight on the infantile psychology and unquenchable narcissistic appetites of demagogues--and the cynicism and opportunism of the various enablers and hangers-on who surround them--and imagined how they might be stopped. As Greenblatt shows, Shakespeare's work, in this as in so many other ways, remains vitally relevant today.